How do I find posts that may already have the answer I need? How do I post a reply or a new topic? What makes a good subject line? What is the title (i.e., "Visitor") under my name? What are the tiny icons (pixies) at the bottom of signatures in posts? How do I use Special Interest Groups? What is a PassPorter Guide (Moderator)? The PassPorter Message Board Community welcomes friendly discussion of vacation planning (and vacationing) at Walt Disney World, Disneyland, Disney Cruise Line, and around the world. We encourage a free flow of information that may be helpful to vacationers and fellow Disney fans. To this end, we ask that our members respect our guidelines, adhere to our rules, and practice good netiquette. What are the PassPorter's LIVE! Guides and Trip Planner Tools? What is the Subscriber Agreement? How do I get a pass to PassPorter's LIVE! Guides? What system requirements are needed for the e-books and e-worksheets? What payment methods are available for my pass purchase? How quickly will I get my Club Pass and enhanced access after payment? I have an Annual Club Pass -- can I commission more than one e-worksheet? Can I share my Club Pass? Will my Club Pass automatically renew? How do I cancel my Club Pass subscription? I've cancelled but have some questions. 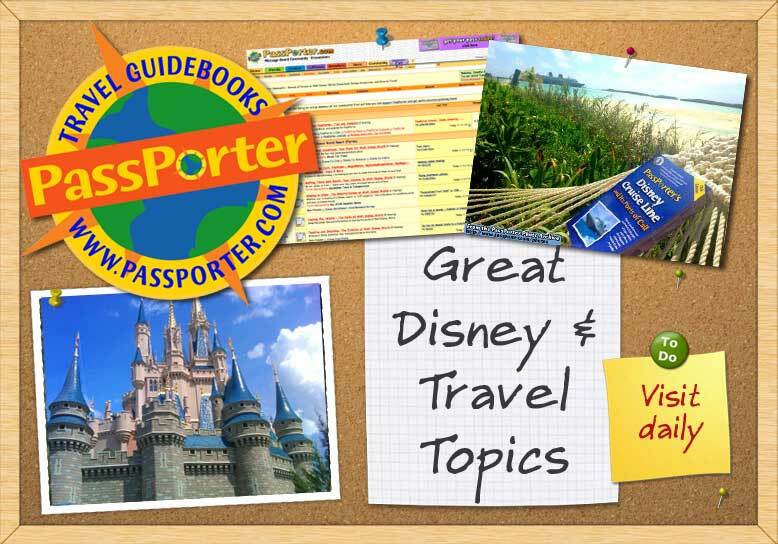 The Blog system gives you your own personal space at PassPorter - A Community of Walt Disney World, Disneyland, Disney Cruise Line, and General Travel Forums. Depending on how the administrator has configured the blog, you will be able to create your own entries and control who may view them.